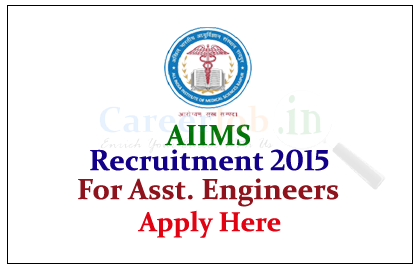 All India Institute of Medical Sciences (AIIMS) is recruiting for the post of Assistant Engineer (Civil) for the year of 2015. 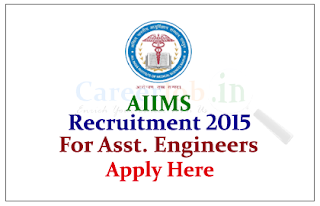 Eligible candidate can apply online on or before 25th June 2015. Interested and eligible candidate can send their duly filled application (application format is attached with official notification) to below mentioned address on or before 25.06.2015, for more details kindly check official notification.